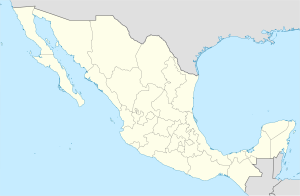 Francisco I. Madero is a city in the northern Mexican state of Coahuila. It is located at the southwestern part of the state near the Durango state border, in the economic region known as Laguna at 25°46′31″N 103°16′23″W﻿ / ﻿25.77528°N 103.27306°W﻿ / 25.77528; -103.27306, at a mean height of 1,100m above sea level. It serves as the municipal seat for the Francisco I. Madero Municipality, Coahuila. This page was last edited on 5 October 2017, at 18:51 (UTC).